Ski resort Himos offers many kind of services year-round. Downhill skiing, snowmobile safaris, tennis, biking trails and long skiing trails, besides many other activities, will certainly leave the vacationer away from everyday life. A new and spectacular full-length golf course has opened up the range of golf courses in Finland: Himos Golf in a diverse Himos environment. Summer time in Himos is full of festivals and events: Himos Juhannus, Iskelmä Festival, Jysäri, Finnhits Festival, New Wine etc. Himos Arena offers great concerts around the year. Päijänne is a fishy lake that offers a wide range of fishing opportunities from summer time worm-fishing to winter time ice fishing. For most recreational fishing methods you don’t need permits, but you get more information about the permissions from us. We deal the permissions. In August, it is also possible to catch crayfishes. But if you don’t get any, don’t worry, you can arrange the coolest crayfish party ever with crayfishes catched by Timo. Ask more! Riding teaching, cross country riding and courses for all level riders. Well-trained and trusted horses. Small groups or individual, expert guidance and teaching. Variable, peaceful landscapes in the central Finnish forest landscape. Pirttijärvi horse riding farm operates all year round. Come and explore the genuine and original Icelandic horses!  In the summer, the environment offers a wide range of experiences with paddling or rowing. Each cottage has its own rowing boat and life jackets. In addition, kayaks (one person kayak 25 euros / day and two person kayak 30 euros / day) and outboard (2.5 HV Yamaha, 20 euros / day + fuel) are available for rent. Every summer there is a big and traditional sailing competition Päijännepurjehdus in Päijänne.